The Stanford Career Development Center (CDC) earns roughly $100,000 each year from a program that charges employers to use services intended to help them reach out to Stanford students and alumni, according to CDC Director Lance Choy. One of the services offered is the ability to send out targeted emails to Stanford students on the basis of factors such as class year, gender, race, major and GPA. Schott said that almost all of the employers who participate in the CDC’s partnership program– as well as in the CDC’s job listing database– fall into one of four industries: oil, consulting, technology or finance. “We thought that the CDC is not doing a fair job with the students who do not want to work for these institutions,” Schott said. The CDC originally started the program in 2001 as a response to three years of consecutive budget cuts due to the dot-com bust. According to Choy, revenue from the program has allowed the CDC to expand its staff, hire a counselor to undertake outreach for the School of Humanities and Sciences and fund a mentoring program for all students. 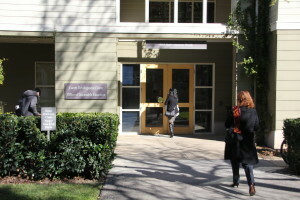 Employers interested in participating in the program can choose one of three membership levels: a “Platinum Partner” company– which pays $10,000 a year or $25,000 for three years– receives the ability to send unlimited emails to targeted Stanford students and alumni, among other benefits. A “Gold Partner”– which pays $5,000 per year or $12,500 for three years– gets to send two targeted emails per quarter and a “Silver Partner”– which pays $2,000 per year or $5,000 for three years– gets to send one targeted email per quarter, among other perks. Choy noted that students can opt out from these emails and that employers are not able to see the profiles of the students who receive these emails. Participating employers may also receive other services, such as access to the Stanford Resume Service, preferred participant status for on-campus career events and access to Cardinal Recruiting interviewing rooms. This year, Bank of America, Boston Consulting Group, Goldman Sachs and McKinsey & Co are all Platinum Partners. Apple, Accenture, Bain, Capital One, Credit Suisse, Deloitte, Everyday Health, KLA-Tencor, Kurt Salmon, L.E.K., Lam Research, Merck, Oliver Wyman, Schlumberger, Shell Oil Co., VISA and ZS are Gold Partners. Lockheed Martin is the sole Silver Partner. Despite the fact that many of the employers participating in the program operate in the same industries, Choy said that the Partnership Program does not advantage specific companies. According to Choy, the program is a small part of the CDC’s efforts to support students’ job searches. The CDC regularly sends out newsletters that contain job listings, supports the Stanford Alumni Mentoring program and holds workshops on using LinkedIn and developing networking skills. The recruiting service has recently been the subject of discussion in student publications, with The Unofficial Stanford Blog posting a humorous graphic about number of employers seeking computer science majors and The Daily running a column that lamented the absence of employers in creative industries at career fairs. “I know that students would love to have employers come to campus to recruit them, but that’s not going to be the case for many situations,” Choy said. Schott said that the CDC should not let market forces dictate the employers who attend career fairs. The CDC earns $700,000 from career fairs each year.